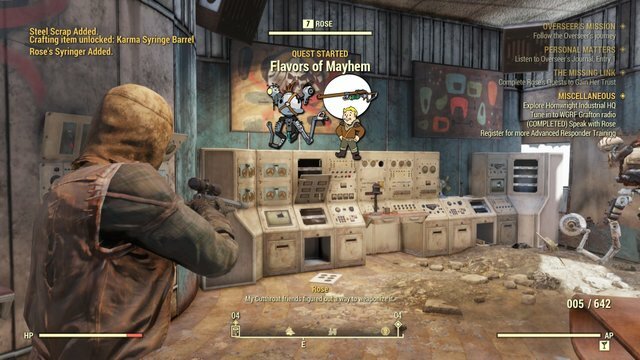 Now that you’re here, so you must have completed the first sub-quest, “Signal Strength” and speak to Rose at the Top of the World to get the new quest, “Flavors of Mayhem”, should we start? 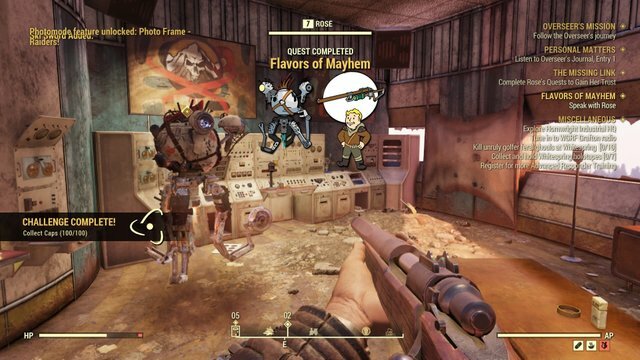 And here are the steps to complete the second sub-quest, Flavors of Mayhem. Rose wants you to upgrade and test her new Karma Syringer. She will give you the Syringer, as well as some of the required materials. Once you craft the gun, Rose will give your next task, testing the new gun on a Yao Guai. 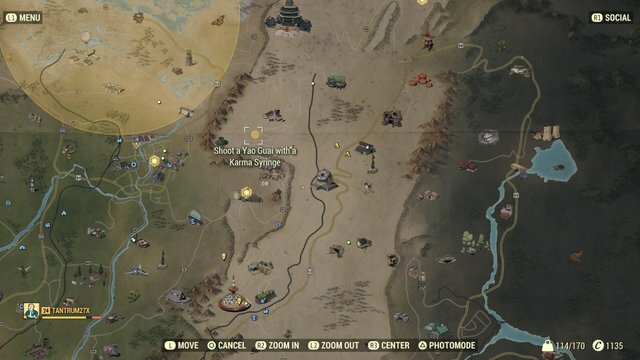 You can find a Yao Guai at a campsite north of the Monangah Power Plant. It will spawn in the middle of the camp, right next to the overlook. Start shooting the Yao Guai with the Karma Syringer, which will make it incredibly strong for one minute. Now you can either run away or jump up on top of the nearby outhouses to avoid its attacks. Once the Karma drugs wear off the Yao Guai, it will become incredibly weak, and you can finally take it down. 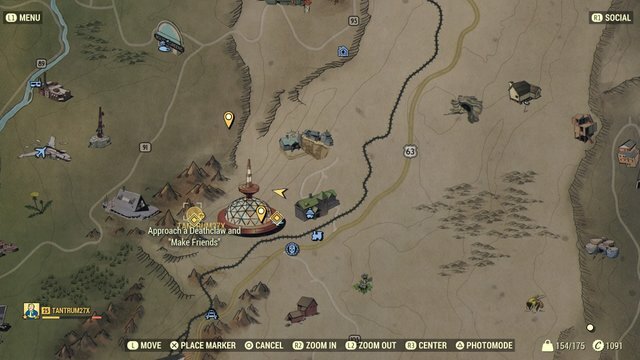 Find all those items in a quest marked Explosives Crate west of ATLAS Observatory and east of Monongah Power Plant. 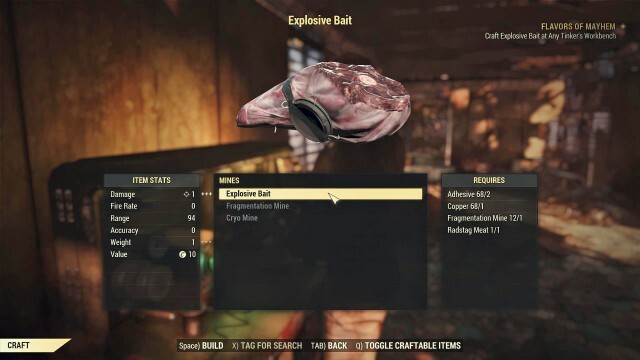 Once you’ve got all the items, head to any Tinkerer’s Bench and make the Explosive Bait. 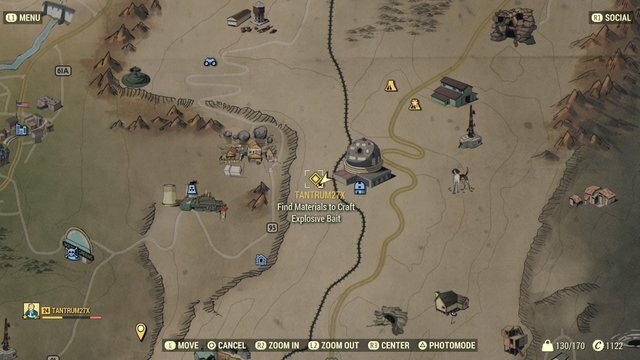 Your next objective is to use the Explosive Bait on a wild creature, head to the circle marked on your map, far to the southwest of Top of the World, and northwest of Whitespring Resort. Toss out the bait and wait for an enemy to set it off to complete this objective. Throw the bait down on the ground and wait for mongrels to come and for the bomb to explode. 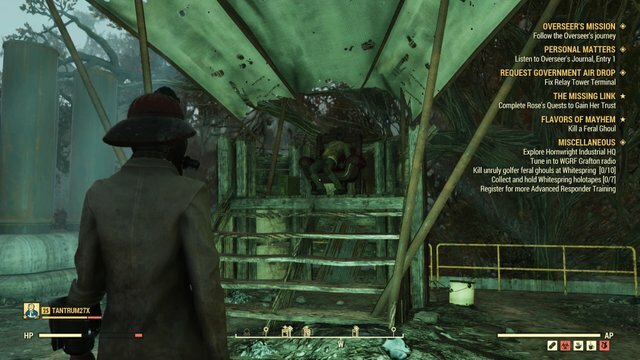 Once you have successfully baited an enemy with your explosives, Rose will request you to head out and make friends with a Deathclaw. 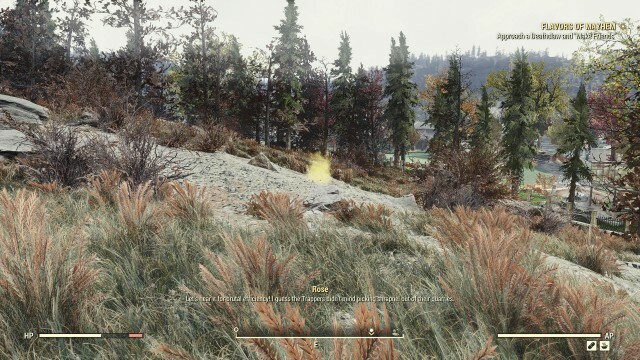 You can find a Deathclaw spawn quest marked on your map, just west of Top of the World. 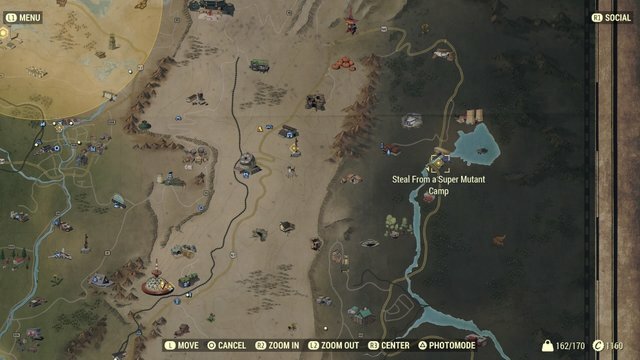 Head over and go down the cliffside where you will encounter the Deathclaw. 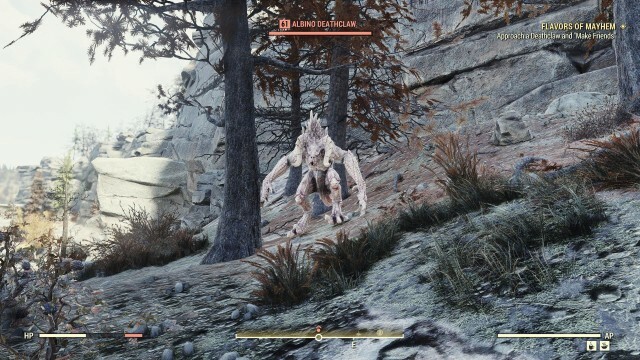 The Deathclaw will become passive for a few seconds, then continue attacking, to make friends, you need to get within melee range then hit the command when it appears. 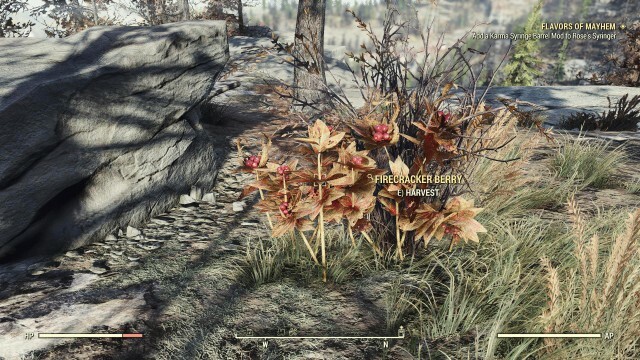 Now, Rose will give you the option to either kill the Deathclaw or run away. 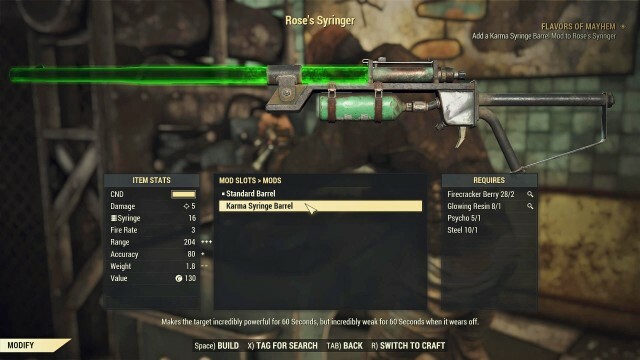 Kill it for some extra loot, but the quest will progress either way and you can use Rose’s Karma Syringer to defeat Deathclaw in the same way you did the Yao Guai. 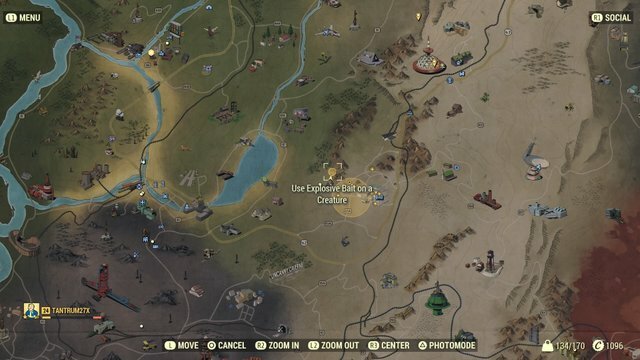 Next, Rose wants to see you steal from a Super Mutant camp, you can find a Super Mutant infested camp located in The Mire, far to the east of ATLAS Observatory. Make sure you bring along the Firebreather’s Helmet, or some other form of protective headgear because there is poor air quality in The Mire. 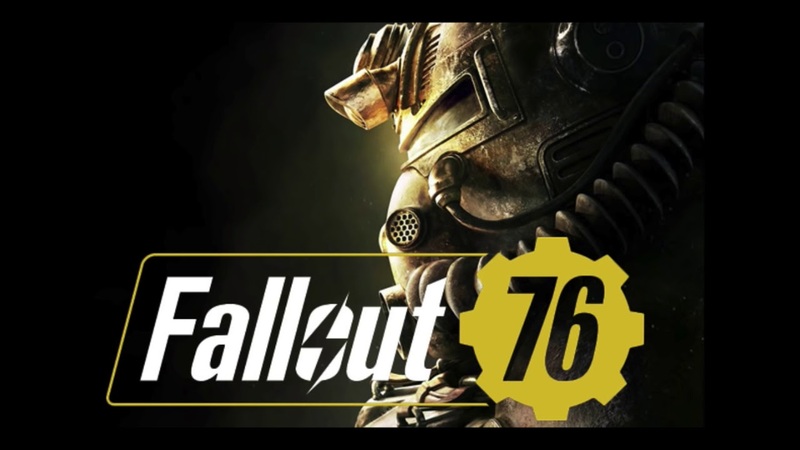 Once you reach the Crevasse Dam, clear out the Super Mutants waiting there, beware for a dangerous Legendary Super Mutant to spawn as well, and make sure you bring along some Stimpaks or other healing items. 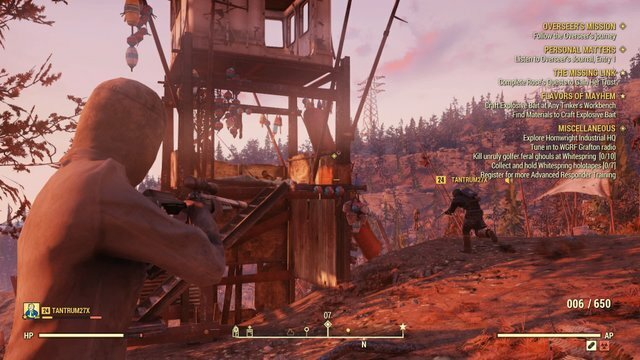 Once all the Super Mutants are defeated, grab whatever you want from the dam, then head up to the roof. There you will find a throne with a dead body, on the body you will find a set of truck keys which can be used to unlock a large truck behind the dam. 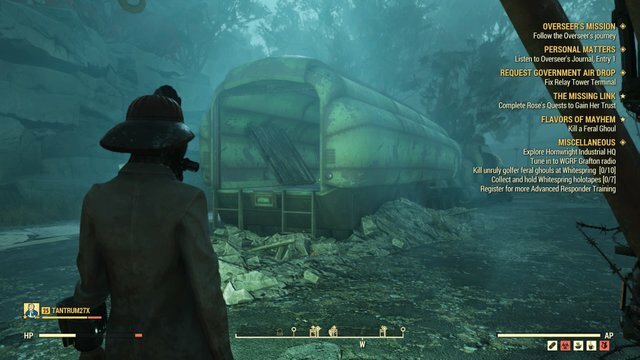 Get inside the truck and you will find a Missile Launcher and a set of Power Armor, loot these items. 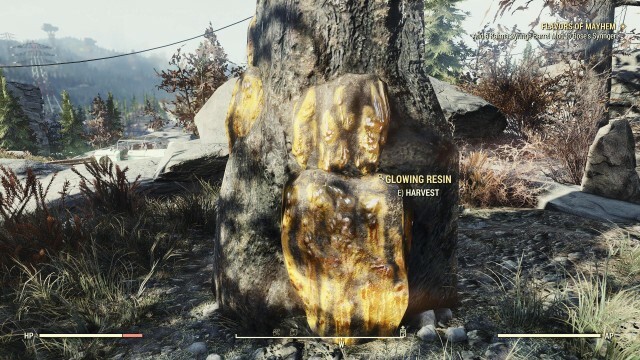 Next request from Rose is to kill one Feral Ghoul, you will see an area marked on your quest where you can find a Feral Ghoul. Kill one and Rose will consider your objective complete, but she will also challenge you to eat the Ghoul as well. If you have the Cannibal Perk Card you can equip it and eat the Ghoul for some extra experience. On the other hand, you can head back and talk to Rose at Top of the World to complete the quest. Now that you’ve completed the second sub-quest, prepare for the final one, Key to the Past.